In our family room we have Pottery Barn’s Chunky Wool Jute Rug. I can’t say enough good things about this rug. Absolutely LOVE it. One of my all time favorites. I recommend it to anyone who asks. It’s incredibly soft to walk on – not at all rough like most jute rugs – you can feel the wool! It’s thick and sturdy and only shed a bit for the first few weeks after I bought it. I love the look of it. Such a great neutral that would work in so many spaces and it adds so much texture to the room. But my favorite thing about this rug? It hides EVERYTHING. This is the most lived in space in our house and don’t let clean and pretty blog pictures fool you – we really live in this room. 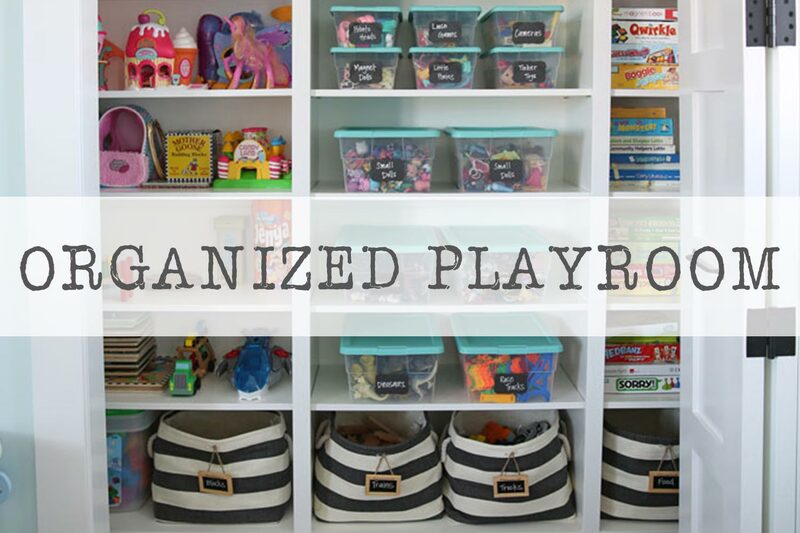 This floor is often covered in toys, books, blankets, magazines and occasionally food and drinks. We try to be careful, but life happens. We’ve spilled on this rug countless times (mostly water or light colored food, but also Coke Zero a time or two) ;) and so far everything has come right off. It hides every crumb so I have to remind myself to actually vacuum. Yup. Dream rug! It’s my favorite. Comes in 5 sizes and is on sale! I bought our kitchen rugs soon after we moved in the house and they are still holding up great almost two years later! These were inexpensive rugs from Target and to be honest I thought they’d only last about a year, but they’re still kickin’! They do get dirty – all kitchen rugs do – but I toss them in the wash once every 3-4 weeks and they come out looking brand new. 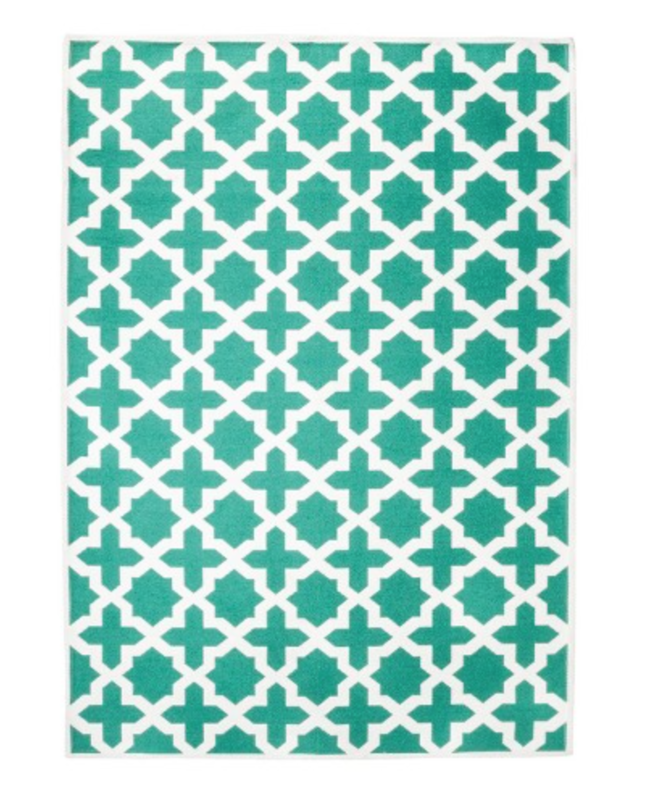 This rug comes in 8 colors and is on sale. The coral rug in my kitchen nook is from Rugs USA. I LOVE the look of this rug. Clearly I’m a fan of coral and of this pattern. :) But it’s not my all time favorite because it’s so thin and not as soft as other rugs to walk on. It works great for under a table but I wouldn’t recommend it for a living/family room rug. The other thing that bothers me about this rug (that you can’t tell in this picture) is that the corners constantly turn up! I’ve set heavy books on them and tried a few other things and nothing works. I can’t flip the rug on the other side because the tag is large and sewn on the backside. 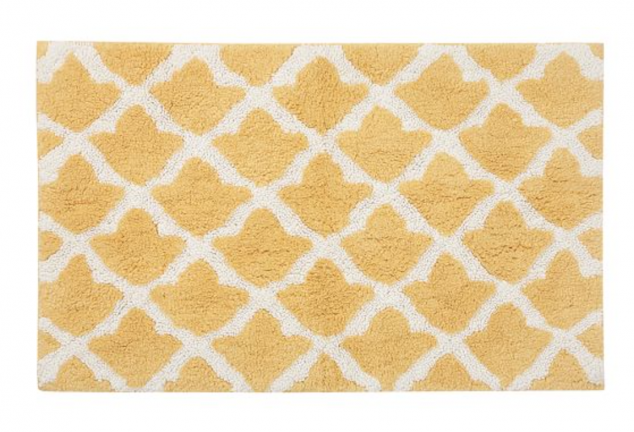 So overall I give this rug a 6 or 7 out of 10. :) I do love the look of it and it comes in lots of sizes and colors. Something for everyone. 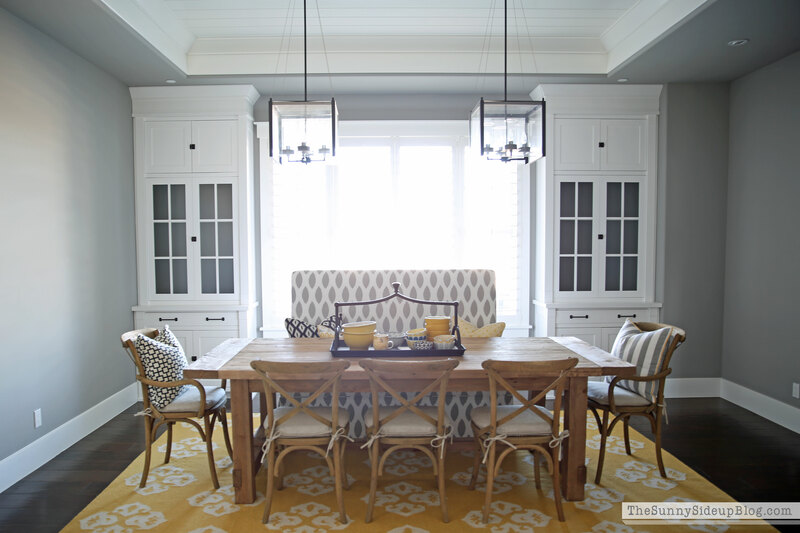 My formal dining room rug is SO similar to the dining nook rug I just shared. 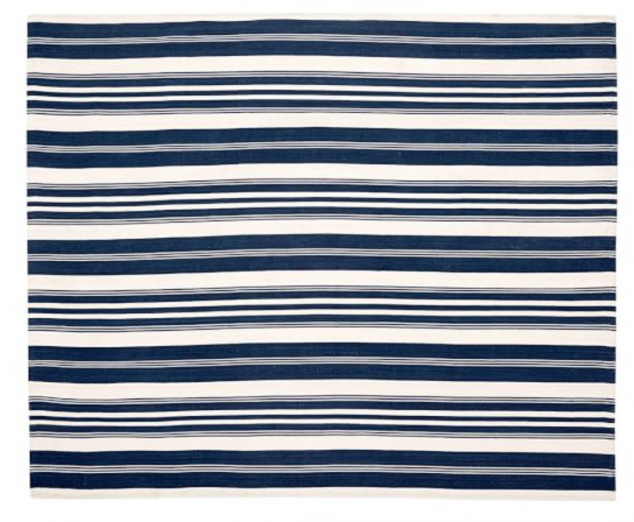 It’s from West Elm and it’s a Dhurrie rug so like the rug above, it’s thin and not as soft. Great for under a table. It’s not available anymore, but here is one almost identical. Our downstairs laundry room is still seriously lacking in decor, but at least I have this fun rug from Target my mom bought me adding some color and cheer when you walk by! 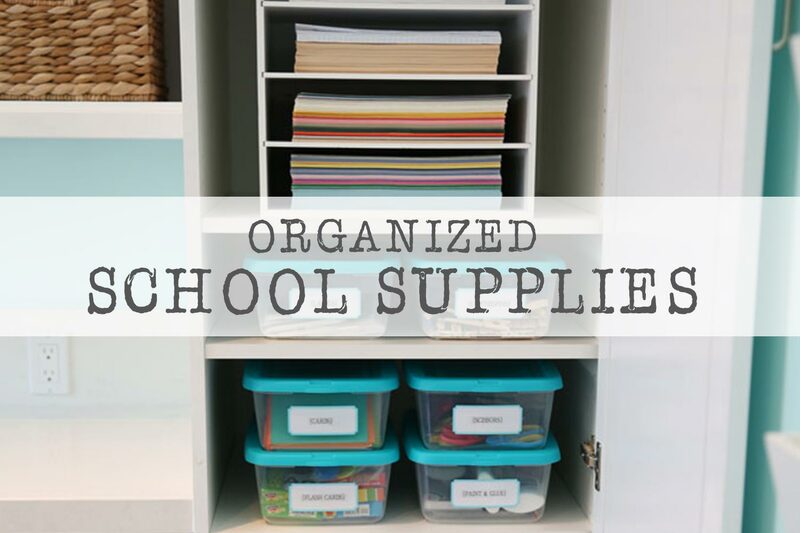 Simple, fun, and inexpensive. I love Target rugs! In my mudroom I have another striped runner (I’m nothing if not predictable) and I have a love hate relationship with this one! 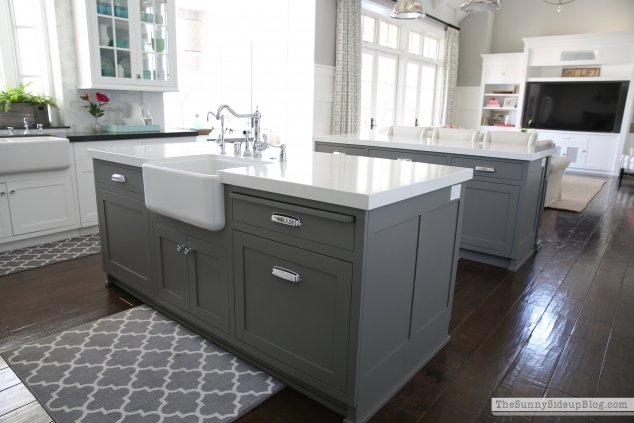 It’s from Pottery Barn and like all of their rugs – great quality. Really soft, thick and durable. It does need a rug pad under it to lay nice and flat. I bought the runner but it comes in other sizes and colors and is also on sale! The Pottery Barn bath rugs in my girls’ bathroom are amazing. Softest rugs EVER. Love love love these. Non-slip back and they come in two sizes. 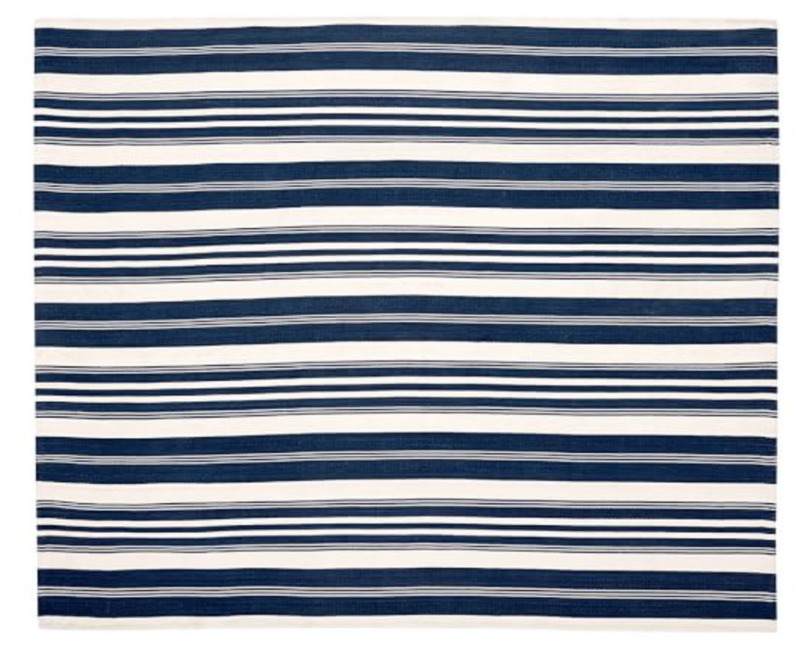 I would recommend and suggest these to anyone looking for beautiful and comfortable bathroom rugs! They come in lots of colors and are also on sale. Woot woot! Clearly we are having a Pottery Barn party going on so I can’t leave out this beauty. 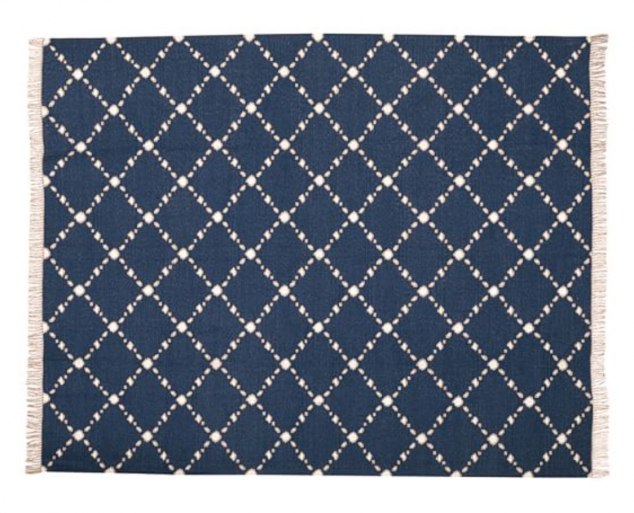 This outdoor rug was love at first sight! The second I discovered it on-line I knew it was the one for our outdoor area. It sang to me. Does your home decor ever sing to you? Mine does. Occasionally. :) This comes in 6 sizes and is on sale! Such a great time to buy anything outdoor related. Then you will have a happy surprise to pull out when next Spring rolls around! Whew! I have done a lot of rug shopping over the past two years! Rugs are tricky because most of them are on-line orders which means you really don’t know how the rug is going to look/feel until you get it on your doorstep. They are a pain to return and I’ve returned plenty! Several times in a few spaces until I found the rug that was meant to be. 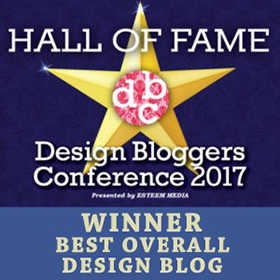 I hope my reviews help and that this post answered some of your rug questions! I left off a few rugs I have that I will share at some point. These are all of the rugs in my house that are on sale and that are most likely only around for a limited time. Happy RUG hunting friends! Thank you for this post. I love all your rugs (and everything else about your house too!). There’s one in particular I love that isn’t mentioned. It’s white with a dark diamond type pattern. I remember you recently showed off some new shoes on it! lol. I’d love to know where that one is from. I have never “done” rugs throughout the house before because we’ve always had carpeting. But now we are doing our flooring and no more carpet! Yay! So I’m going to need rugs very soon. Love this post – perfect timing! By the way…thought you might smile at this one: I broke down and bought the planner! I’m giving it ONE MORE SHOT with these planners, LOL. 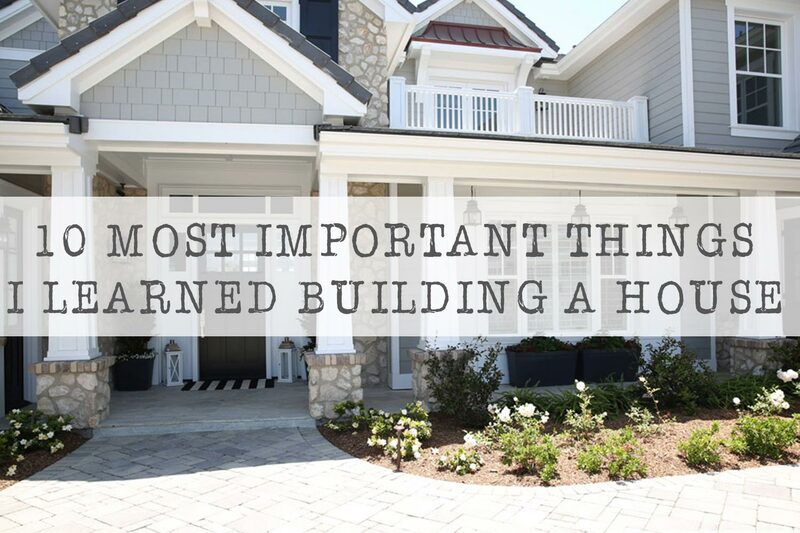 So tell your mom…it’s never to late to perfect something. Even the use of a planner. Ha! 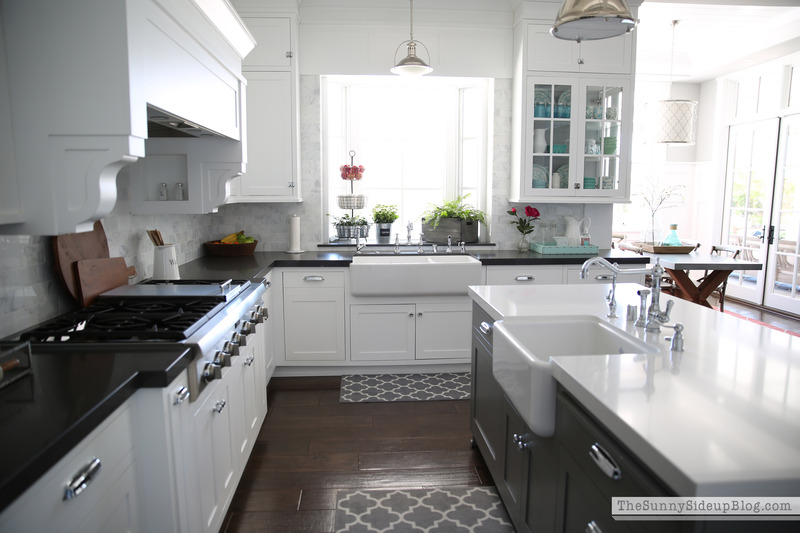 Hi Erin, Can you tell me where you got the pendant lights in the kitchen over the islands? I have been looking for something similar but can’t find anything. Thanks! 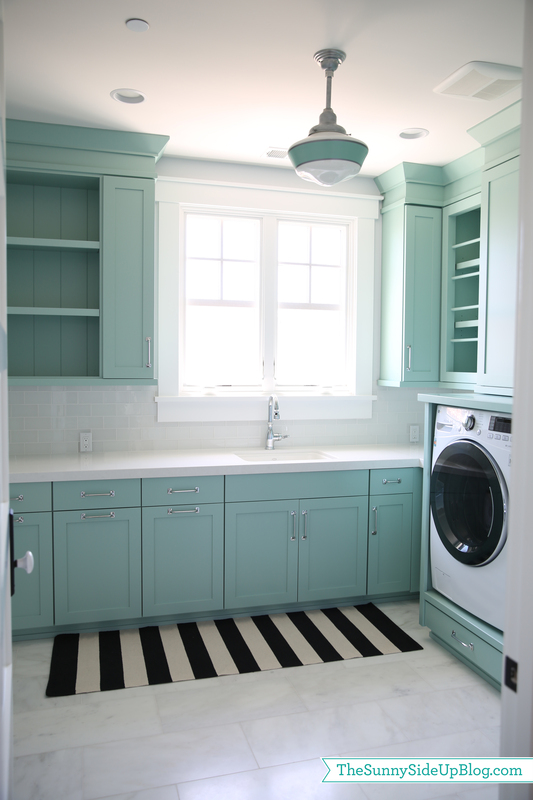 I love that black and white striped rug! My favorite rugs are from either Target or Joss & Main. Beautiful home & style ? it all! Do you mind sharing what size rug you have in your family room – (the PB jute rug) thank you in advance. Hey Erin: Another question about that rug. You say it’s soft to walk on, but what about sitting? My kids sit and play on the floor all the time. I need a rug that is comfortable for that. Hi Julia! Are you asking about the PB rug in my family room? If you are then yes! SO comfy to sit on. We sit on it all the time. :) I haven’t seen the grey in person so I’m not sure about that one. ?? Julia – Did you happen to get the gray? I’m thinking of purchasing it and can’t find many pictures online to know how it will look in natural light. Yes, if you could share the link that would be great. I look and look online but it is so hard. Too many choices and too many unknowns with texture, softness, etc.! Thanks for all the rug info! I’m def. getting the jute rug now! Btw…how is your light colored couch in your living room working for you with kids? I so badly want to get lighter couches for our new house..I’m just stressed they will get dirty.? Hi Erin! I really love this post! All of your rugs are so cute. I am dying to have your living room rug :) I know it’s Restoration Hardware, but can’t find it. If they still have it, can you please post the name or a link? Thanks so much!! So many fun rugs! 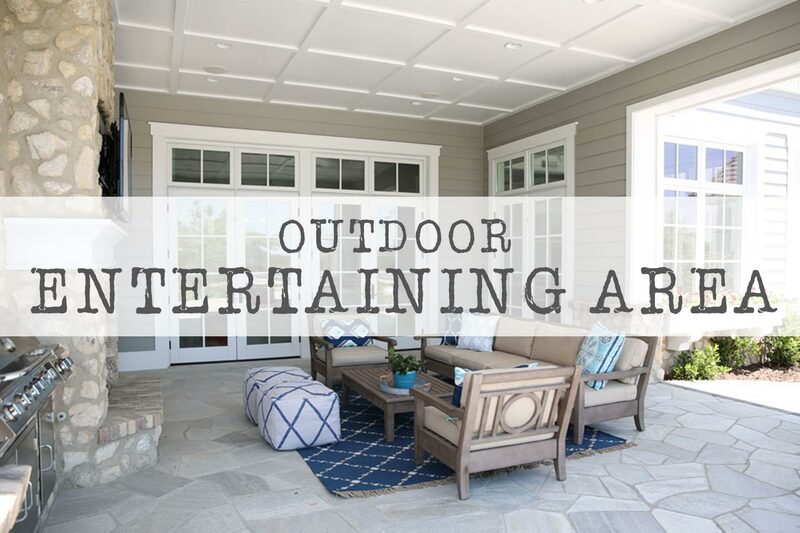 I love the one you chose for your outside living area! Painters tape is a great idea!!! Erin, I look forward to reading all of your posts! I just love seeing your beautiful home and your cute family! I was looking at the problem with your mudroom rug. Could you take the door down and shave a little off the bottom? Also, could you cut the pad out from under that corner of the rug to make it thinner right there? Don’t want you to have to give up the cute rug!! I’m curious …. What is the grey wall color? Also – where did you get that san diego print – california with the heart on SD from your “SD is home” post? We just bought a vacation home in SD and I’d love to have it for out there. Thanks! Hi Lisa! Thanks cutie! I haven’t looked at all at the Eli Jute Rug! I’m sure it’s great, but I can only speak for my wool/jute rug which you know I adore. :) That California print was from a local store called Bixby and Ball. They have a website and I bet you can find it there! Love all the rugs you selected. What color of chunky wool rug did you choose? Natural or gray? You promise the wool jute rug is really going to stop shedding at some point right?! ;) I love the feel of it and have gotten compliments on it, but the shedding is out of control! It’s like a have an indoor cat with a serious shedding problem. I’m on day 28 and figure it has to get better soon. I’m vacuuming it twice a day following the suggestions that came with the rug and not using the power sweeper). We have dark wood floors like yours and you can see every fiber that has come off. I may be to OCD for this rug…but I am still glad I got it (and on sale, even). Hi Erin! Everything looks beautiful! I love your choices of textures and patterns. I have a question for you. I recently purchased the Pottery Barn Wool and Jute Rug for my family room. We have had it several days and have noticed the normal shedding of fibers but also some sort of fine dust under the rug itself. Did you encounter this dust as well? If so, does it go away after first several weeks like the shedding? Also, did you go with a rug pad for this rug? Thanks so much! I am currently looking for a family room rug. We took out our carpet and put in hardwood floors and I haven’t been able to commit to anything yet. I have always LOVED that Pottery Barn Chunky Wool Jute rug but am afraid because I have a golden retriever. Also, I had a jute rug in our kitchen years ago and it did not clean up well. I am happy to hear yours does! Maybe I will look at that rug again in person! I also love all the rugs in your home. They make me want to add more color to my home. I actually have a great Dash and Albert indoor/outdoor striped rug in my office that I highly recommend. 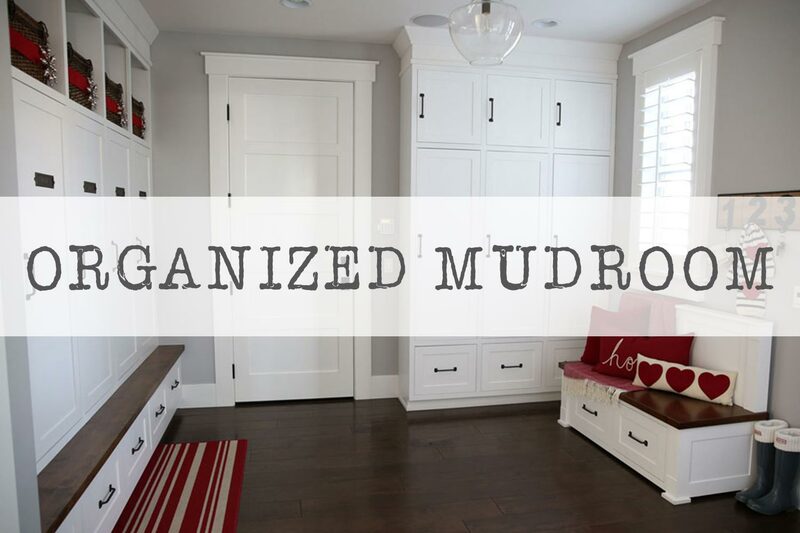 I am sure you have looked into Dash and Albert before but it might be something to consider for your mudroom. Anyway, really helpful post. I am always curious to know how things hold up! 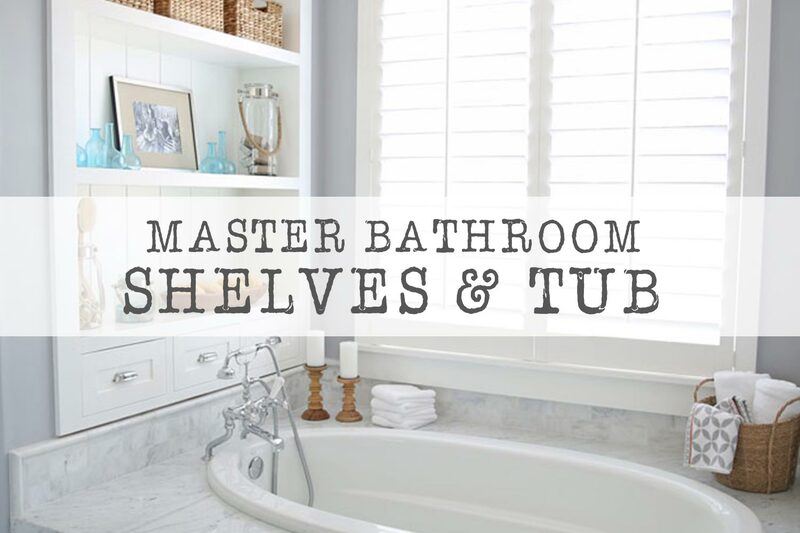 Would you mind telling me where you mainly purchased your cabinet hardware throughout your house? In particular, your girl’s bathroom. Also where are their bathroom light fixtures from? Thank you! I love your blog! Hi Erin! Thanks for this awesome post! Your home is gorgeous! 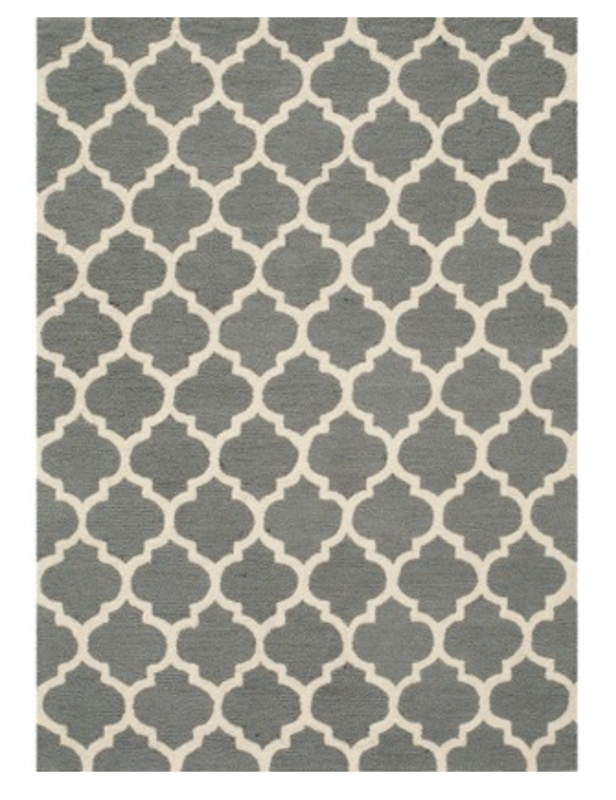 I am in the market for a new rug for our family room and I am contemplating get the one you have from Pottery Barn. Is it comfortable to play a game on the floor with my kids? They are 4 and 1. Hi Erin! 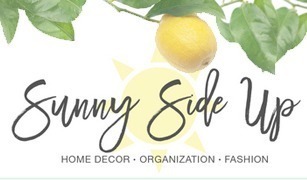 I have been enjoying your blog and design style for a while now! Your house is just stunning and I constantly find myself coming back to look at pictures of it whenever I am going to do some redecorating in our home. Currently I am trying to find a new carpet for the bedrooms. We currently have a beige toned carpet but have redecorate and repainted with grey tones and the beige doesn’t look so hot anymore! 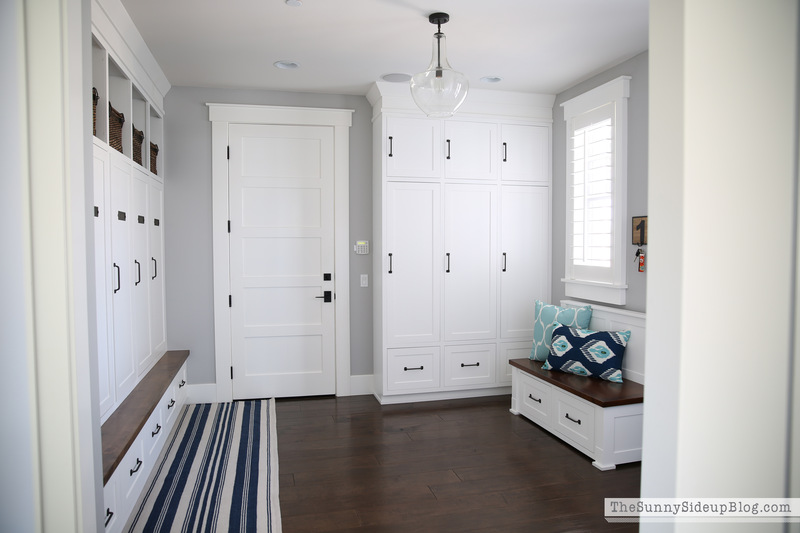 I noticed you have carpet in your kids rooms and the playroom and since your entire house is in grey tones I can only imagine the carpet you picked looks fabulous with the grey tones. Have you shared any information about this carpet in previous posts? I didn’t find anything. Wondering what type of carpet, color, texture, etc…really anything you can share about it. 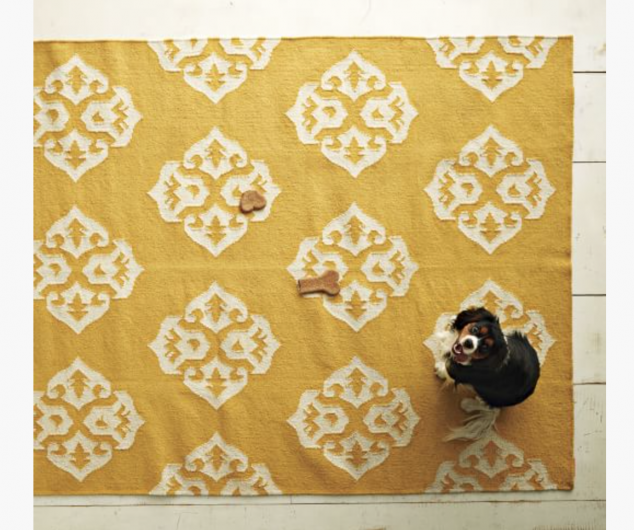 Would you mind sharing the size of your formal dining room rug? And the size of the dining room table? Thanks! Hi Erin! 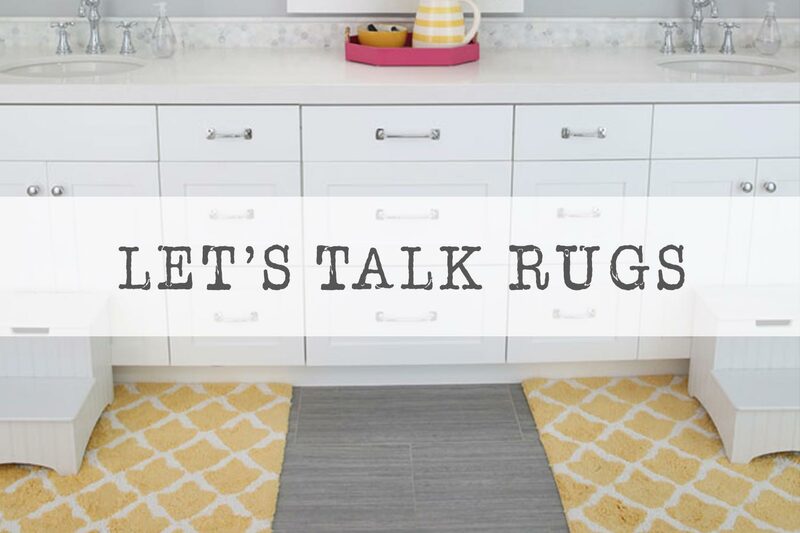 Love all of your rugs! Where did you find the white and navy patio pouts and pillows? Hi there! Love e truth I g about your house!!!! It’s truly a vision!! Where is your family room sectional from??? Thank you so much for this post! I love the Pottery Barn chunky wool/jute rug, but I’m worried about not being able to use a beater bar vacuum on it. Do you use a beater bar vacuum on yours? I’m really hoping I can because I love the rug and want to keep it. Also, have you ever had it steam cleaned? Thanks again! Do you use rug pads under all of your rugs so they don’t ruin your wood floor? Hi there – I am literally about to click “buy” on the PB Chunky Wool & Jute Rug but I’m reading other websites that complain about the hairs and fibers all over the place. What has your experience been? You have small children so I’m hoping I can go with your recommendation but don’t want to be vacuuming every day or having our clothes covered in fuzz balls/hairs. I really enjoy your blog! You’re home is beautiful and I love all your great rugs! My question is, do you have a rug at your front door as you enter the house? I’m trying to find a rug for my entrance and was curious, if you had one, and if so, what it looks like? Always open to a new look! Hope you and your family have a blessed and Happy Christmas! Beautiful house! 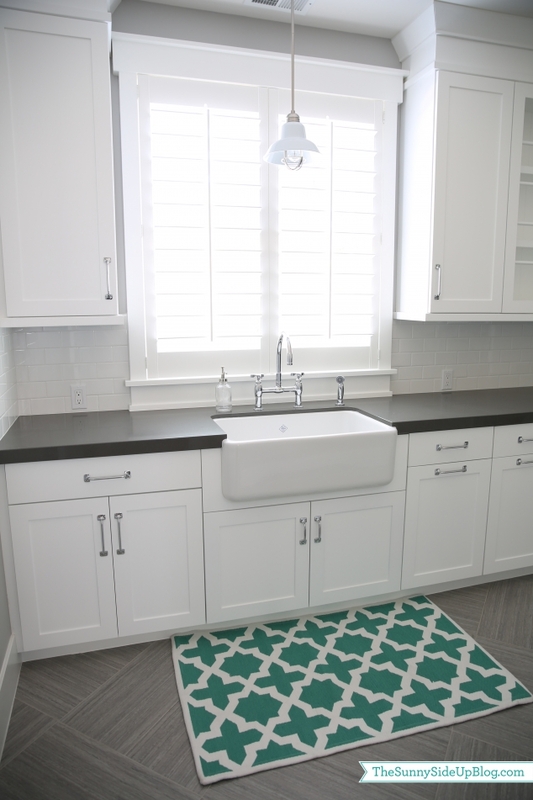 Where did you get the carrara marble subway tiles for the backspalsh? Thank you for posting such great photos with helpful details! 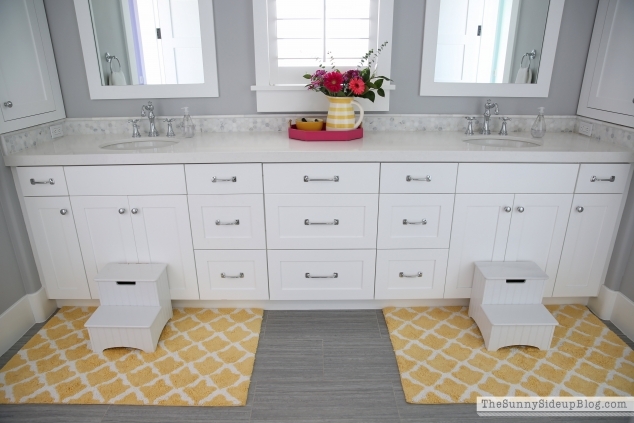 I would like to order the yellow rug that you have in your girls’ bathroom. 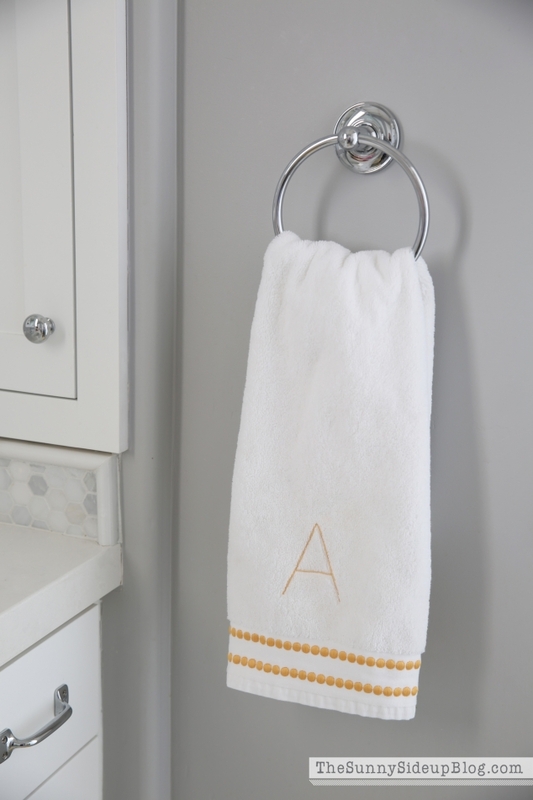 Do you have a shower curtain in yours, if so what color? Hi Erin! 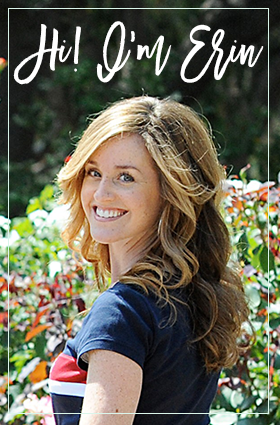 I’m new to your blog…love it! I love everything about your house. I have the same style. I have a question… I can’t seem to find on your blog where you found the rug for your living room. Would you be able to share that info with me? Thanks! Hi thanks for your post! I am also interested in buying the chunky rug from pb. Just wondering, how has it held up over the years. Thanks for your help! Hi Erin! How do you clean your Pottery Barn Chunky Wool and Jute Rug? I have a Dyson vacuum cleaner and wonder if that is too strong to clean that rug. 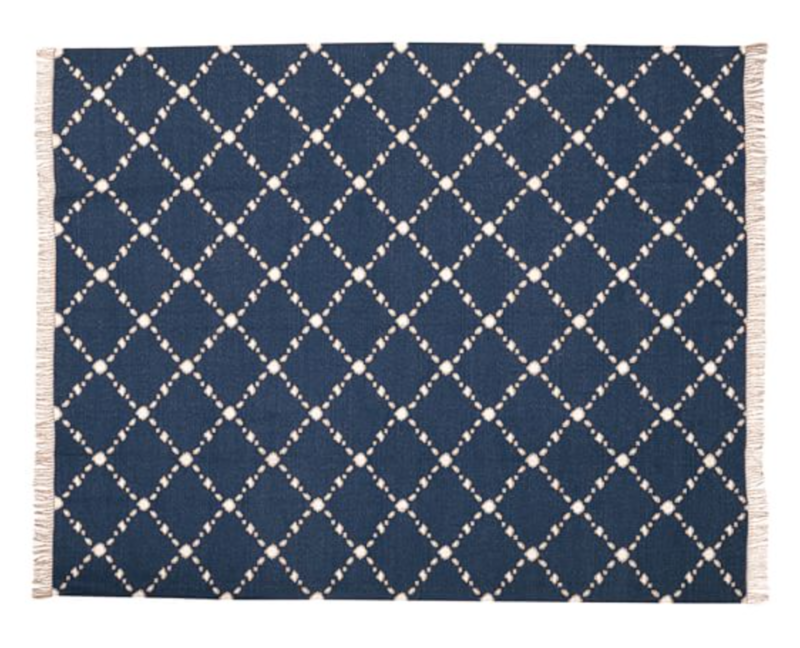 My family (husband and two toddlers) like to eat in the living room while watching movies, where I would put this rug, and am wondering how it holds up to stains? Have you spilled wine, juice, or ketchup on it? Thanks! 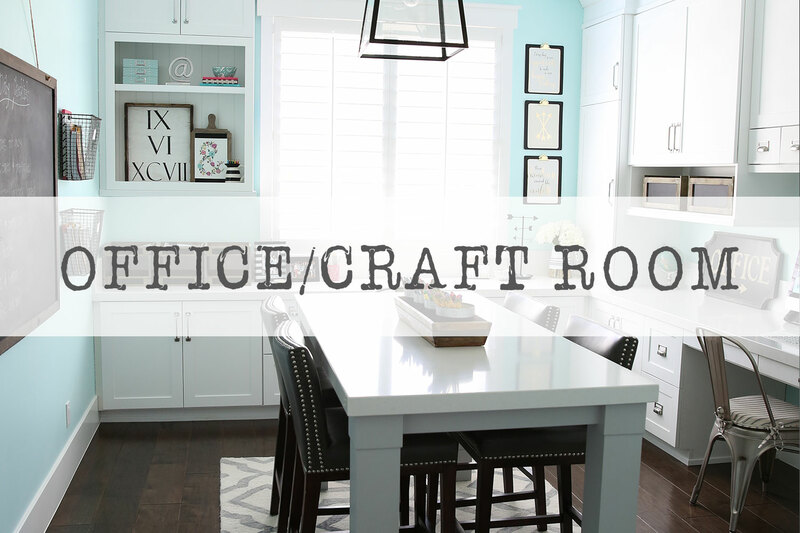 I love reading your vlog and love how you’ve decorated your home! I’m about to order that PB chunky wool jute rug. But first, I have a few questions for you. Does the jute feel scratchy or stiff at all? Did you get a rug pad? If so, from where and what type? I love your family room rug from pottery barn. I have a similar sectional sofa and I know it would look great. 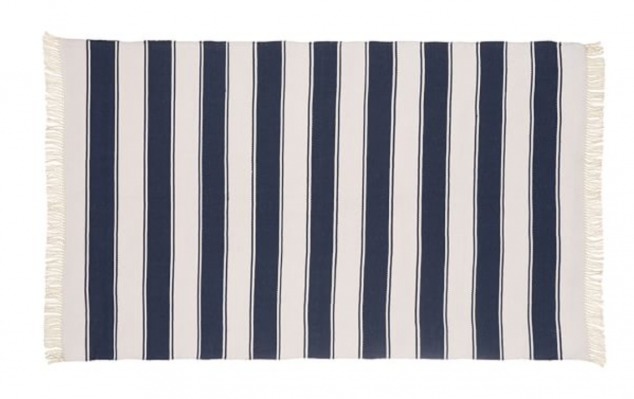 Unfortunately, t is on backorder in the size I need until the end of October – is there any other rug you would recommend? 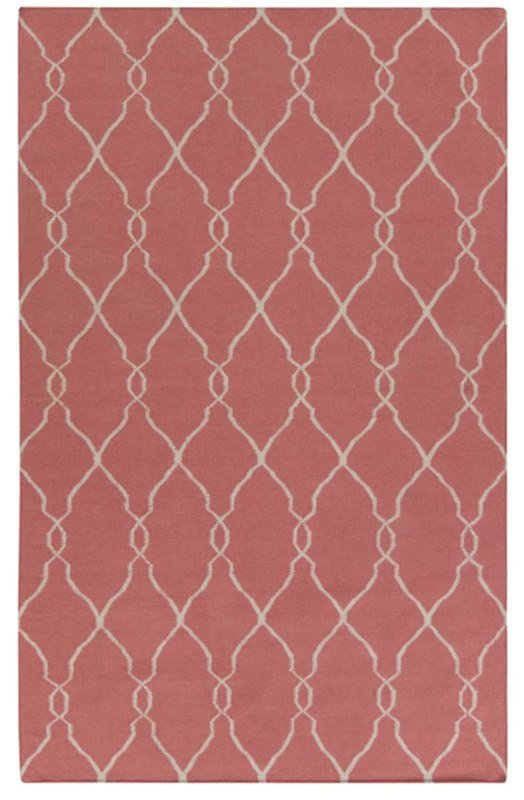 I am really interested in a soft, durable rug for our high traffic family room in a similar color. Thank you so much for your quick reply. 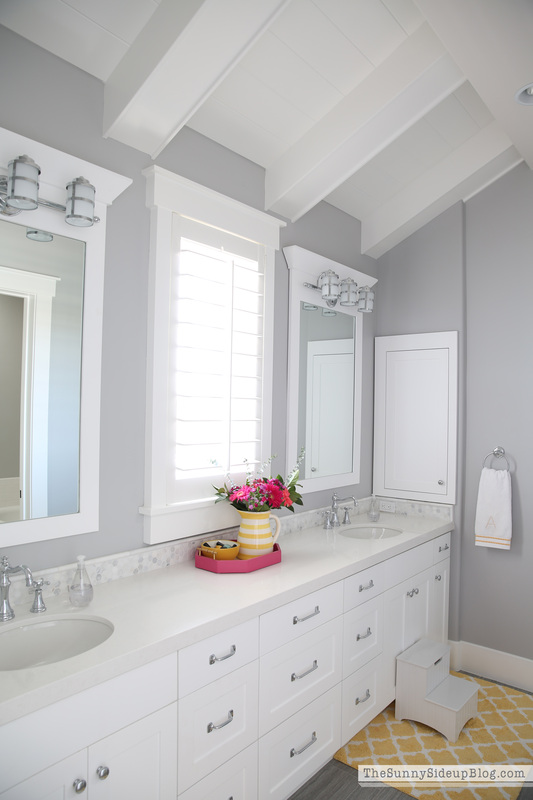 I have looked at the gray and love it but I have a lot of blue/gray throughout my house and was looking for a color closer to the natural you selected. I’ve had a hard time convincing my husband that this type of rug won’t be scratchy but finally your blog made him see the light :). I LOVE the rug in your bedroom but wanted to stay away from pattern if possible. I guess I will have to be patient and try to wait for the Chunky Rug!! Thank you again. Your blog is my favorite! Hello!! Beautiful rugs and beautiful home!! You said you got your PB wool/jute rug ion sale, what was the price you paid? Hi there! Love your style. I didn’t see anything about your stair runner and I love it. Would you please post some info on that rug as well and if you like it? Thanks! That’s awesome! You’re a great decorator & I trust your opinion! 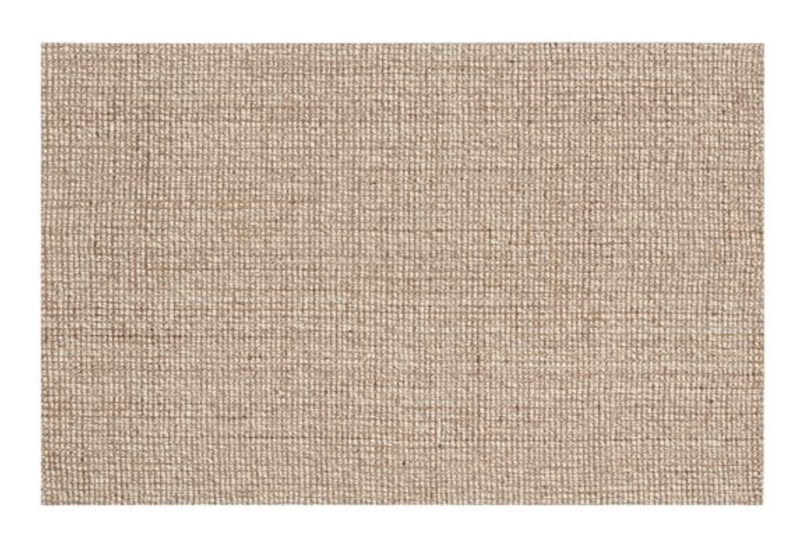 ;) Another PB rug I’m loving right now is the Diamond Wrapped Jute Rug in khaki color. It’s a wool/jute blend also. Do you know anything about this rug? The diamond pattern is so pretty! Beautiful home!!! I found this site after searching for comments about the PB rug shedding! 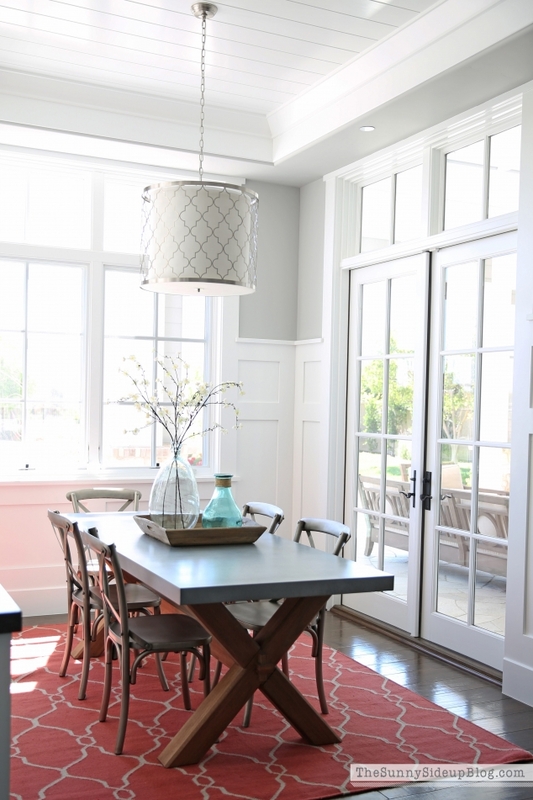 I have both the natural (living room) and gray (dining room) and love them both!! I’ve had them for about a month now and natural one seems to shed a lot more than the gray (probably because it’s a high traffic area). I was close to selling it but your comments gave me hope! Lol! Just in case anyone is wondering about the gray, it is gorgeous!! I love the natural for the living room though because it goes so well with any color if I ever change it up in there. We have a wood table with black chairs in the dining room so the gray is perfect with it’s black speckles throughout. Thanks for the info Alison!! 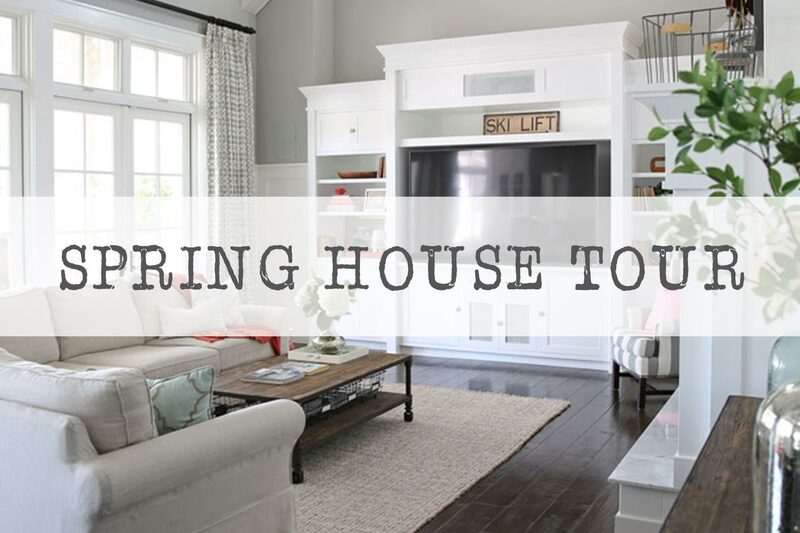 Loving your house! I have ver6 similar taste and we recently remodeled an old home in a s8milar style. I also have the PB chunky wool and jute rug and absolutely love it. My question is about your Family room sectional. Is that PB as well? If so, which one and has it held up well? I have a friend who bought a PB sofa and wasn’t pleased with it but I know they have different levels of durability/craftsmanship. Hers may have been a lower end one. We need a sectional we can live in and one that’s comfortable for years to come. Any info is appreciated! I’m about to buy the Pottery Barn wool and jute rug but am curious if you have ever steam cleaned yours? Is it still holding up well?